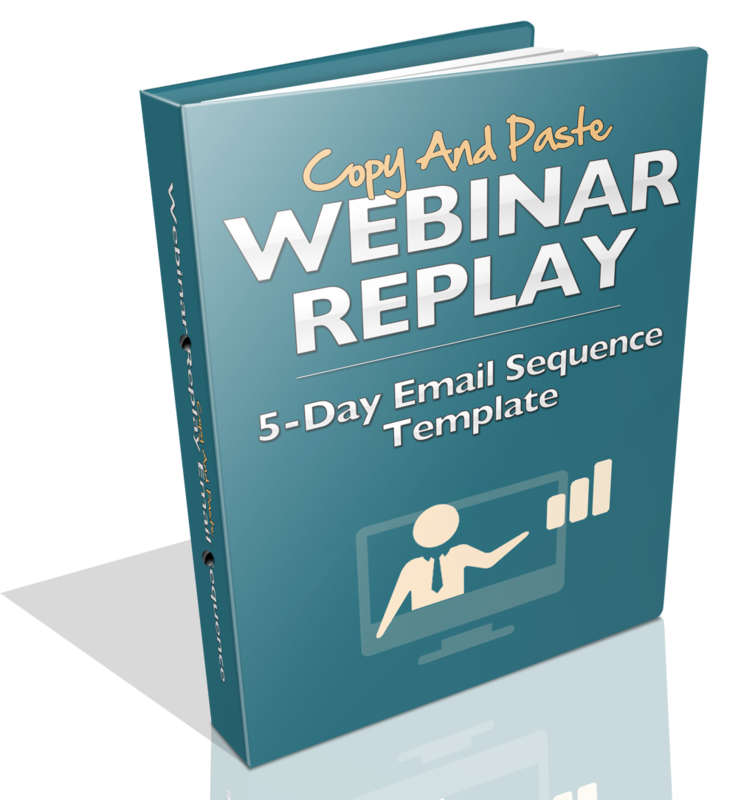 Triple Your Webinar Sales With This Proven, Cut & Paste, 5-Day Webinar Replay Email Sequence! Plug this 5-day, 6 email template into your autoresponder and boost the sales from your next webinar - live or automated! Discover the absolute, #1 subject line to use for your FIRST replay email... Don't get fancy with it either - it works! Copy the exact email copy we use to triple and quadruple our sales following a webinar, with up to 4 times more sales coming in on the last day! Learn how to effectively 'close down' your webinar regardless of what you're selling - coaching, consulting, digital products... Even physical products! Copy & Paste the email sequence right into your autoresponder and start converting MORE webinar registrants today! Download the 5-Day, 6 Email Sequence now... Just fill in the stuff for your offer and paste it into your autoresponder to get started! Click the button on the right and enter your email address to grab the download! Please Enter Your Email Address Below To Receive The Webinar Replay Email Template!